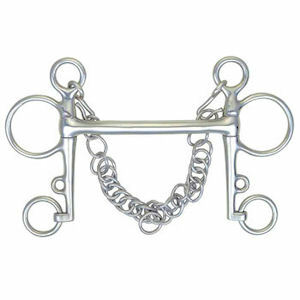 The Horse Soft Rubber Mullen Mouth Pelham Bit is a Straight rubber-covered Pelham bit. . 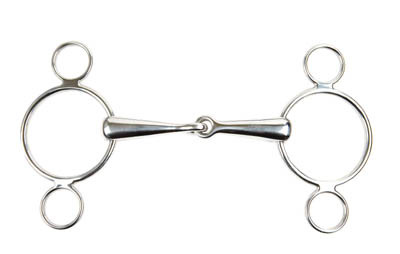 RELAXING the horse's mouth when riding. 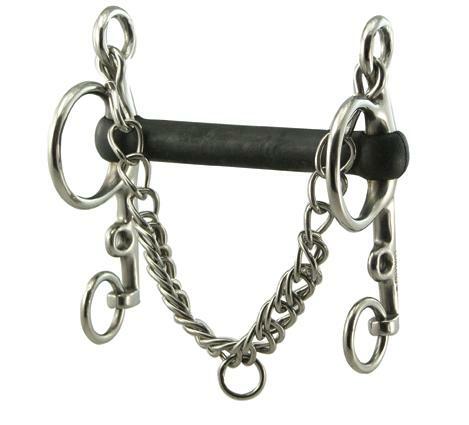 The 3 ring continental jointed snaffle bit is sometimes known as a 2 ring, dutch gag. This solid Mullen mouth Pelham is excellent for mouthing with precisely balanced cheeks for exceptional control.